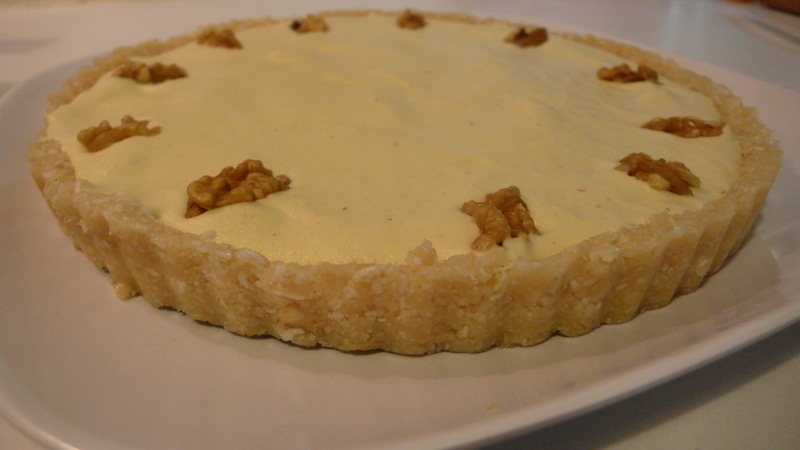 It’s cold in Paris, so I thought it would be nice to have a little taste of the tropics with this Raw Banana Coconut Cream Pie in a macadamia nut crust. Process all ingredients in food processor until well combined but still a bit chunky. Oil a 9 inch tart pan with removable bottom with walnut or coconut oil. Press nut crust into tart pan. 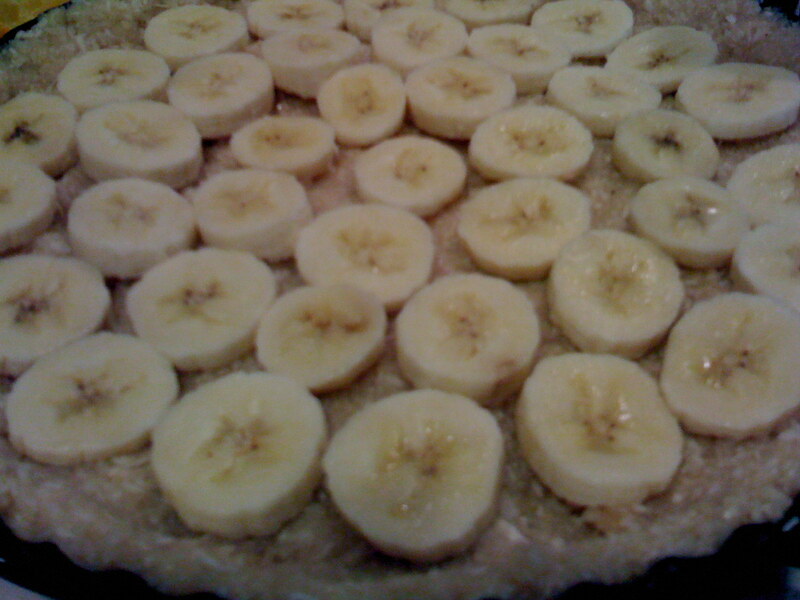 Cover crust with sliced bananas. In a blender on high speed, blend all ingredients until smooth and creamy. Pour filling over bananas. 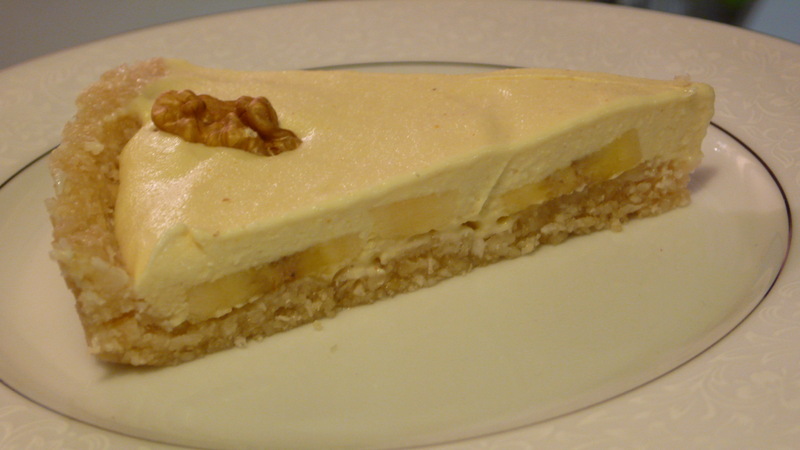 Smooth the top and decorate with walnuts. Place in freezer to firm for two hours. Remove from tart pan and serve. Hi there, I’m intrigued to try this recipe. Can you please describe it for me? The tumeric is an interesting addition. Is it quite subtle and more for colouring? Thank you. ‘It’s delicious,’ is how I would describe it! Yes, the turmeric is really just for color, so don’t overdo it. Hope it turns out well for you. What can I use instead of stevia? Raw honey or more agave? I think it is sweet enough without the stevia, or you could add a little more agave or a couple of dates. My local store doesn’t suply either agave or stevia, any tips on replacement ingredients? Thanks in advance, the recipe seems delicious enough!